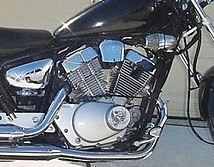 but just modifying the stock air filter pods yourself is an easy way to help make your Yamaha Virago 250 look a little different from the rest. You can add some small vents (see below) or velocity stacks to the stock air filter housings. Run your mouse over each picture to see a description. Click on each picture to make larger. On some computers, you can make the picture even larger or smaller by moving the scroll up/down wheel on your mouse while holding the “Ctrl” key. Most of the stick-on air vents and emblems that you see are hard plastic, so they won’t fit flat on rounded air pods. Stick-on air diffusers are available that are hard plastic, but are only 1/2 inch wide (or 13 mm) so they would fit your rounded air pods a little better than the bigger air vents. With some modification, you might could get them to fit flat. They are not too common, but some of the stick-on air vents are flexible plastic, so they will fit your rounded air pods. 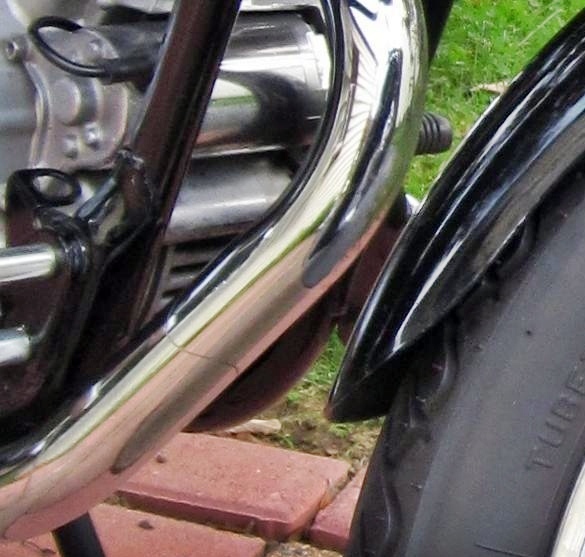 They can be used on gas tanks and sidecovers, but you might not want to put too many vents on your bike – they need to look natural and at least a little realistic and sort of blend in. Another idea is to paint the air filter pods, or add a decal. Also, you can add a gauge to the air filter pod or to a cover you can put over the fuel pump. 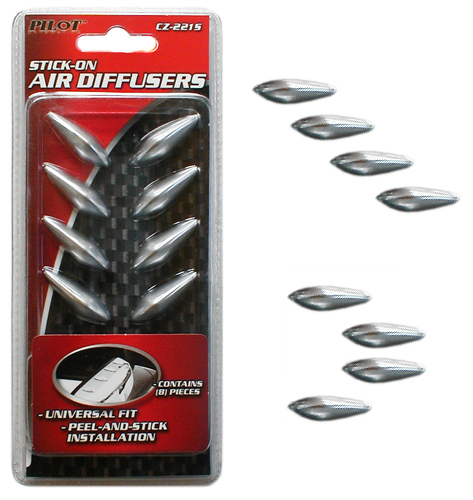 This is probably hard to do – but making 3 or 4 cuts in the stock air filter covers to look like vents might look cool. 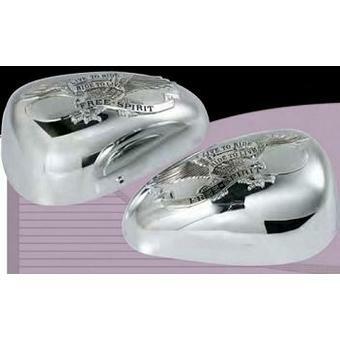 Removing the stock chrome cylinder head covers will give your engine a different look and will reduce your bike’s weight by 2.6 pounds or 1.2 kg. The bad thing about removing the chrome cylinder head covers is that it leaves the brackets exposed (the brackets that the chrome cylinder head covers are bolted to). 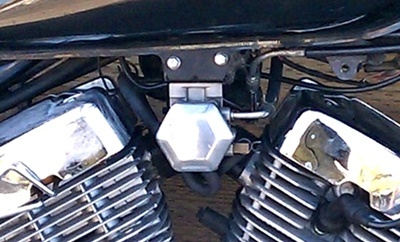 You should not remove these brackets because the bolts that hold the brackets are the cylinder head bolts. I do not intend to put my chrome cylinder head covers back on, so I broke off most of the brackets. I would not recommend doing this, but if you do, be very careful. No matter how careful you are, you will scratch or mark something, and you could damage the gas tank or engine. 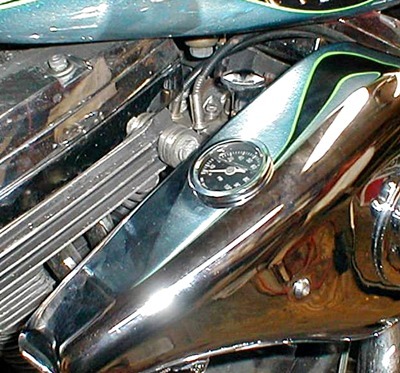 If you remove the chrome cylinder head covers, most of the brackets, and the chrome hanger, you will reduce your bike’s weight by 3.05 pounds or 1.4 kg. 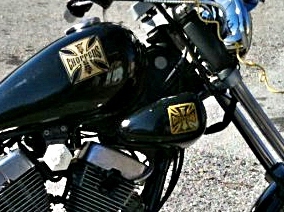 I like chrome, but I actually like the bike without the cylinder head covers. I cleaned off most of the dirt and it looks better than I thought it would. There are seven tiny fins on the top of the head. Because I removed the brackets, there is a little more room for adjusting the valves. 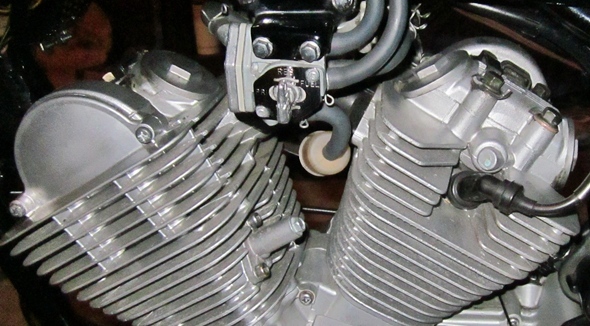 For more room, I also removed the crankcase vent tube and the clip that holds it – the clip is located right by the rear exhaust valve so that will definitely add a little more room for valve adjustment. 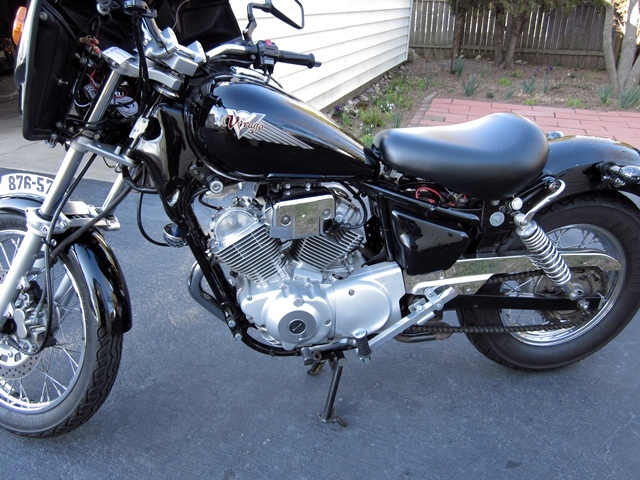 Most of the world’s Virago 250 owners have not put anything over the familiar stock six-sided fuel pump – so this is good area to make your Virago 250 look a little different from the rest. You can cover it with a chrome air filter cover or something similar. 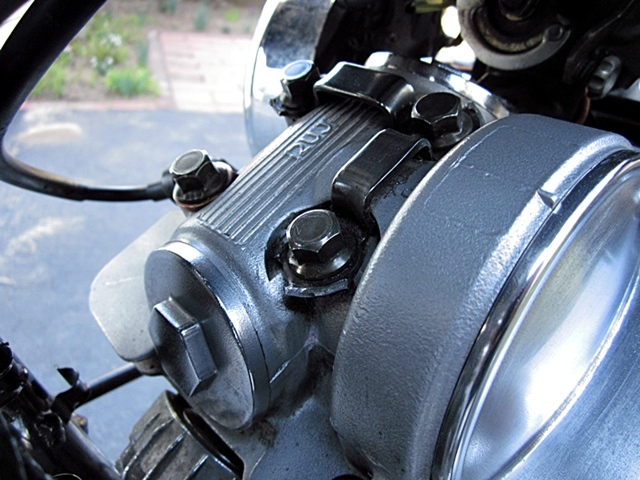 If you have removed your chrome cylinder head covers, and you are not going to put them back on, you can actually use one of those to cover your fuel pump and another to cover your fuel petcock. 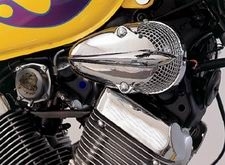 The chrome cylinder head covers look great on top of the engine, but wait until you see how nice they look off the bike. They are quite an art object, and there are four of them. 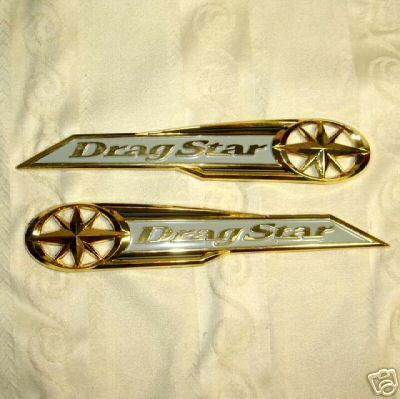 They are not made of steel – maybe some sort of aluminum – the chrome plating is excellent and using Windex they polish up great. Use aluminum polish on the two washers to get them shiny like chrome. 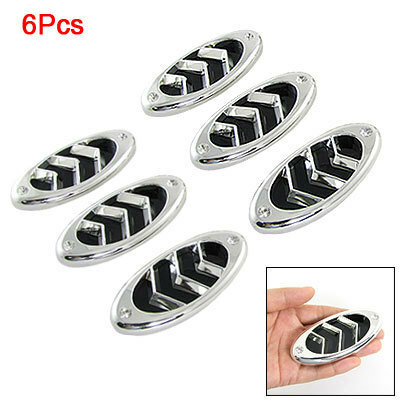 They are plated on only one side, so only one side will polish to a shine. Above is a Lifan LF250B with a chrome fuel pump cover. 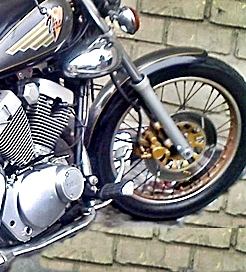 Painting the front hub and/or front disc brake caliper gold (or other color) can make your bike look different – gold hubs or calipers are seldom seen on Virago 250’s. 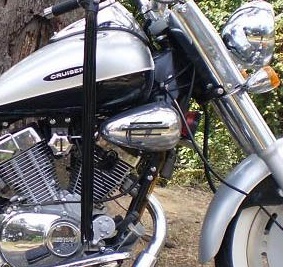 For more about polishing the Virago 250, please see this post: http://wp.me/p1LWaM-6w Virago 250 – Do not buy chrome parts – just polish the parts that are already on the bike. 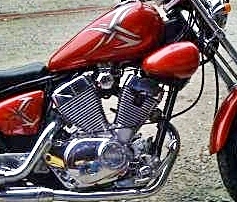 This entry was posted in Motorcycles and tagged Virago 250, Virago 250 Air Filter, Virago 250 Air Filter mods, Virago 250 chrome, Virago 250 different look, Virago 250 fuel pump cover, Virago 250 Low Cost Mods, Virago 250 mods. Bookmark the permalink. What is under the chrome pod on the left side…and how can it be eliminated? 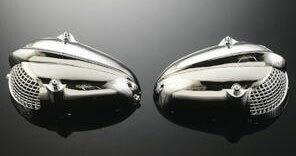 Hi Chad, There is one thing in the Virago 250 left chrome pod – the sensor for the carb heater. You can remove the chrome pod and push the sensor up into the area below the tank. What is the consequence to removing the cylinder head bolts and replacing them without the brackets? I did not do it because I did not want to open my engine, and I did not mind how it looked with part of the bracket left. But you can do it. I would not remove and reinstall the bolts one at a time, though. You need to remove all six of the head bolts, in stages and in a crisscross pattern. Do the same to reinstall. The torque setting for the larger M8 bolts is 16 ft lbs. The smaller M6 bolts are 8.7 ft lbs. Thanks for the helpful reply. I’ve read also that it’s common to lube the bolts and that affects the required torque. 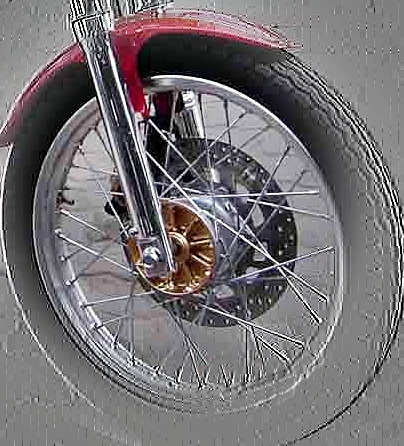 I may need to research more before I attempt this but it might be a nice way to get more familiar with my bike and see the inside of a cylinder. 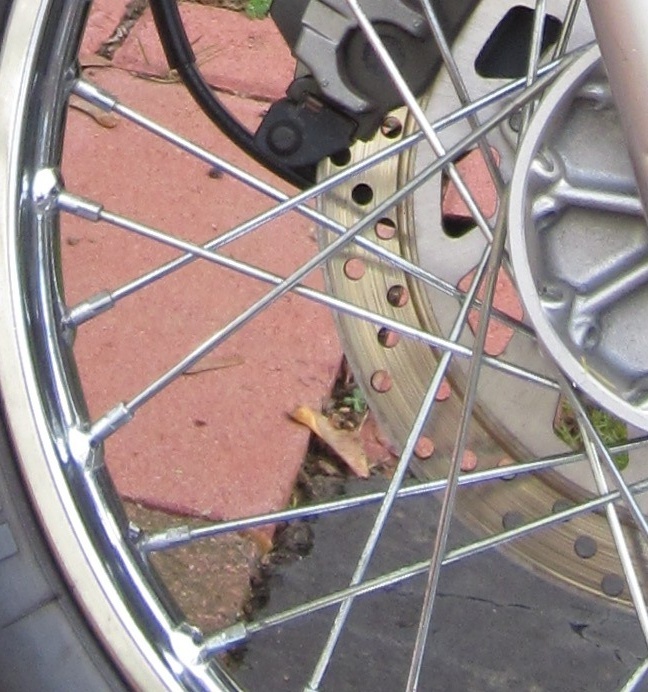 I suppose the other option is to go at the brackets with a cut off wheel but I’m afraid I will cut something important. I’d like to say a big thanks for this blog as it’s taught me quite a lot and I’ve repeated many of the modifications on my own bike. It is OK to drive with the chrome cylinder head covers removed. They are decorative – they do not actually do anything. Hello, how do you mount the air filter cover on the fuel pump ? I just used wire. Also I used magnets (at the top, inside the cover) to help hold it in place better. Over the years, I used 4 or 5 different covers, so I wanted it to be easy to take off and put on. 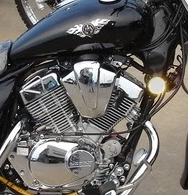 My favorite was an old HD round air filter cover. -Les S.